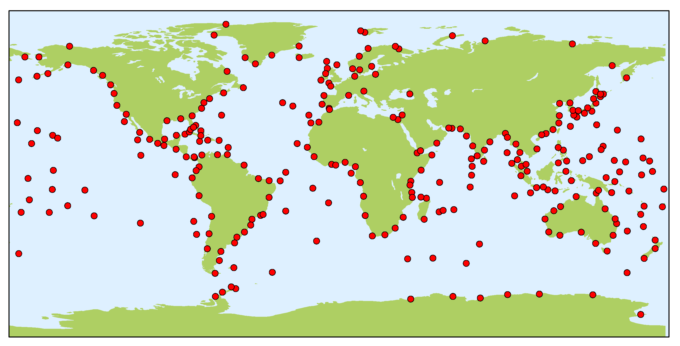 The backbone of the global tide gauge network is the GLOSS Core Network (GCN), a global set of ~300 tide gauge stations that provide optimal sampling of the global ocean. GCN gauges were allocated to each island or group of islands at intervals not closer than 500 km, and along continental coasts at intervals generally not less than 1000 km. Preference was given to islands in order to maximize exposure to the open ocean. The UHSLC has played an integral part in the establishment and maintenance of the GLOSS Core Network of stations. Technicians at the UHSLC have considerably expanded the in situ sea level observation network, particularly in the Pacific and Indian Oceans, and many of these stations are visited and serviced regularly by the UHSLC. 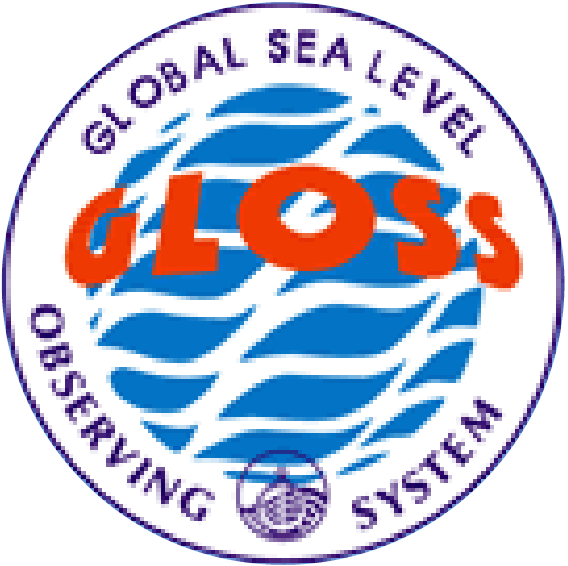 The UHSLC also operates the GLOSS Fast-Delivery Center, which is responsible for assembling and distributing a version of GLOSS sea level data that has undergone preliminary quality control by Member Nations and includes supporting metadata information. “Fast-Delivery” implies posting of the data within 1-2 months. The UHSLC provides Fast-Delivery quality control services for Member States that do not have that capability. 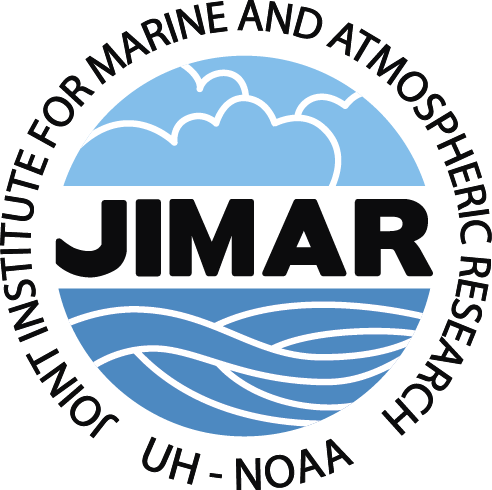 The Joint Archive for Sea Level (JASL) hosted by the UHSLC acquires hourly datasets from GLOSS and non-GLOSS tide gauges from around the world that have received a final quality assessment from the data originators. JASL provides an independent check of the data, primarily to identify any remaining outliers, timing issues, or datum shifts. Any quality issues with the data are brought to the attention of the data originators for reconciliation. JASL then assembles a single hourly time series for each station, or a series of sub-records if datum changes occur over time. The JASL dataset therefore represents a “data product”, as problematic data points are not simply flagged and left in the records as they are by BODC for the GLOSS Delayed Mode Dataset, but changes to the data actually are implemented by JASL analysts (e.g., level adjustments, timing shifts, outlier removal). These changes are documented in the metadata information. GLOSS is a global endeavor requiring the coordinated participation of an international group of agencies. In addition to the UHSLC, the following data centers provide complimentary GLOSS data streams while helping to shape the future of the global in situ sea level observing network. In general, GLOSS data centers are associated with scientists involved with sea level research, which helps to maximize the quality of GLOSS datasets. 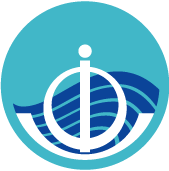 SONEL is the dedicated center for Global Navigation Satellite System (GNSS) data at or near tide gauge stations. This data is essential for studies of sea level change, as it provides information about how the tide gauge is moving in three-dimensional space. The vertical movement of the gauge will register as local sea level change, but these changes are not related to the height of the ocean surface. 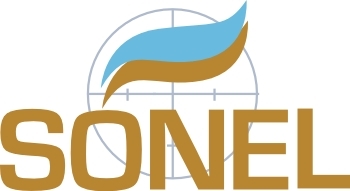 SONEL is supported by the University of La Rochelle and the French CNRS/INSU institute. SONEL provides information about the status of GNSS stations at or nearby tide gauges through a web-based monitoring facility. It assembles, archives, and distributes GNSS observations and metadata that can be accessed through the web-based facility, as well as anonymous FTP server.